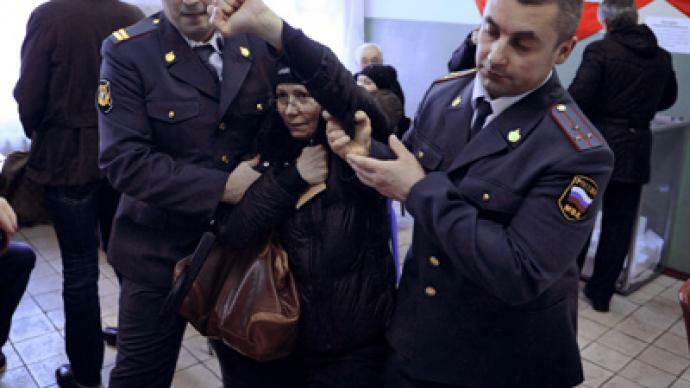 The results of voting at a polling station in the republic of Dagestan - where a webcam registered a case of ballot-stuffing - have been annulled, Russia's Central Commission (CEC) has said. The Dagestani CEC submitted the materials on the incident to the Investigative Committee and Prosecutor’s office in the republic. Investigators will look into the incident within three days, the committee’s representative told RIA Novosti. 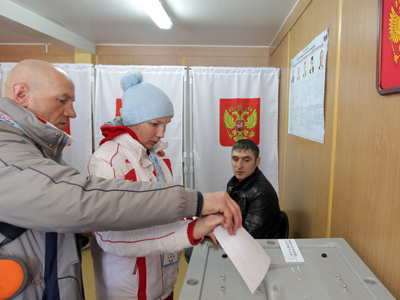 Following the scandal, the head of presidential candidate Vladimir Putin’s election headquarters, Stanislav Govorukhin, stated they would want to appeal against the results of the March 4 voting at the Dagestani polling station. “People who are familiar with voting process said that it’s more likely that it was not a throw-in, but a transfer [of ballots] from a small portable ballot-box,” he told a media conference. However, Govorukhin underlined that Putin’s campaign staff would take the issue under special control. If information of alleged ballot-stuffing on other polling station is confirmed, the headquarters would also demand that results are canceled. 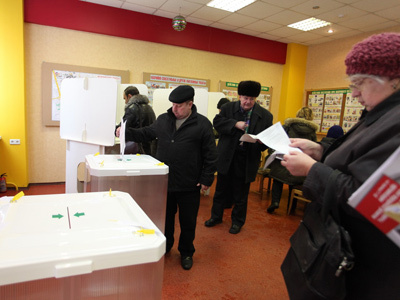 Prior to the March 4 presidential election, all the polling stations in the country were fitted with webcams to provide live coverage of the voting process which was available on a specially-created website webvybory2012.ru. The novelty was welcomed by the community: over 2 million people registered with the source to personally keep an eye on the situation. According to the Communications Ministry, up to 420,000 people were visiting the website at the any one time. In addition, the poll was watched by thousands of monitors from independent organizations, such as the League of Voters and Golos, as well as representatives of each of the five presidential candidates. 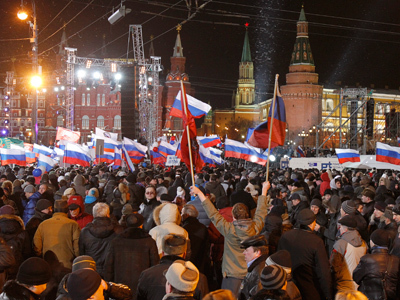 However, activists observing Russia’s presidential vote and opponents of the government say there is evidence of widespread violations, including alleged ballot-staffing, so-called “carousel voting” and illegal campaigning. The Interior Ministry said earlier that no serious incidents have been registered since the polls opened. The ministry said it had received over 20 complaints of alleged violations on its hotline. However, many of the incidents reported were not confirmed by police sent to investigate, they say. The Central Election Commission (CEC) reported that by 5.30pm Moscow time (17-and-a-half hours after the polls opened in Russia’s Far Eastern regions) they had received only 86 complaints of election violations. All in all, 460 complaints were submitted to the CEC during the presidential campaign, the body’s deputy chairman, Stanislav Vavilov, told journalists. The official noted that a wave of protests that swept thought the country following the December 4 poll had not been a prelude to an avalanche of complaints. “We have information that hundreds of complaints have been written and will be submitted to the CEC in the near future. These complaints have been written in advance (prior to the March 4 poll),” Vavilov said. He insisted that the organizers of such actions were not interested in such things as impartiality and legality. Meanwhile, official data paints a very different picture from that being presented by the opposition and independent observers. Election watchdog Golos received over 2,000 reports of alleged irregularities. The organization made an interactive map which shows the number of applications it received and where they came from. Moscow tops the list with over 900 complaints. The Russian Communist party (KPRF) stated that they had registered over 40 violations in Moscow just four hours after voting began. Candidate Mikhail Prokhorov is planning to appeal to court over the violations revealed by his observers during Sunday’s poll, he told journalists. In particular, he said, irregularities were registered in St. Petersburg and the Moscow Region. The League of Voters – the movement created after the December 4 parliamentary poll to ensure fair elections – say they recorded multiple irregularities across the country, ranging from nonfunctioning web cameras and ballot-stuffing to alleged “carousel” practices in which buses ferry organized groups of voters with absentee ballots from one polling station to another to vote multiple times. The movement has posted reports of alleged violations on its website and on its Twitter micro-blog. According to monitors, up to 1,000 workers were delivered to one of the stations in Moscow’s north-western district of Strogino, where they created long queues and “chaos.” The inconvenience caused many voters to leave without casting their ballots, reported The Village website. In addition, observers stated, the workers presented papers which had clearly been signed by the same hand. One of the buses that brought people to the polling station was seen earlier at another station, they claimed. The police and the Public Chamber denied the report. A member of the chamber, Maksim Grigoriev, told RIA Novosti that observers visited the Strogino polling station to see what was going on. He said they learned that workers from several construction sites had been delivered in buses. He said the queues had built up due to the use of electronic vote-counting machines which helped prevent fraud, but at the same time slowed down the voting process.